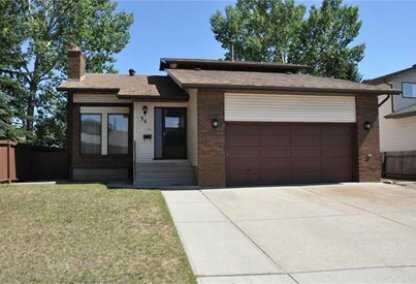 Search Dalhousie homes for sale & real estate in Northwest Calgary. Dalhousie is located just south of Nose Hill Park in NW Calgary. 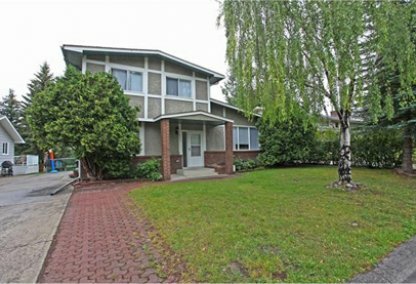 This active family-oriented community began developing in 1967 and has been growing ever since. 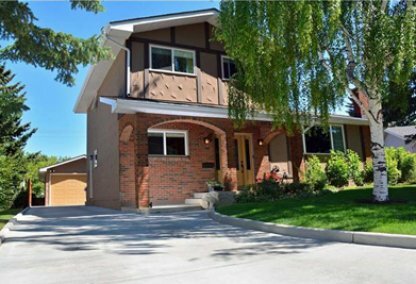 For information about Dalhousie neighborhood properties for sale or to schedule a private home showing, contact your Dalhousie Calgary real estate experts today. Dalhousie housing market statistics: As of April 20, 2019 there are currently 43 properties for sale in Dalhousie listed as active, with an average asking price of $377,430. The highest-priced property is $824,900; the lowest priced property can be purchased for $119,900. Dalhousie neighbourhood listings have an average price of $321 per square foot, based on listings with 2.9 bedrooms, 2.1 baths, and 1,106 square feet of living space. Want to buy or sell a home in Dalhousie? Call Justin Havre at RE/MAX First at 403.217.0003, your neighborhood Dalhousie real estate agents and agents ready to help with the Calgary Dalhousie housing market. The Dalhousie real estate area is bound north by John Laurie Blvd, east by Shaganappi Trail, south by Crowchild Trail and west by Sarcee Trail. There are just under 9,000 residents in the Dalhousie area. 75% of Dalhousie homes are single family detached, semi-detached or townhomes. You'll also find a fair number of condos in Dalhousie as well. Dalhousie currently has LRT service to Dalhousie Station and the line was recently extended to Crowfoot station. Crowfoot Centre is nearby, and has numerous shops, restaurants, entertainment and recreational facilities. The area is well connected to the city’s roadways for easy commutes. Living in Dalhousie gives families access to plenty of sports activities and amenities for all age groups from children and youth to adults and seniors. The community has a popular recreation centre, where adults and children alike enjoy taking classes in everything from karate to folk art. The Dalhousie Community Association was founded in 1970. Some of the major events organised by the association include the annual Winterfest Celebration and the Stampede Breakfast. The Dalhousie Community Association also has a play group, a play school and it offers a variety of programs with Kindermusik, Girl Guides and Boy Scouts being some of the most popular. There are both public and private schools in the area for K-12 students. The University of Calgary, SAIT and ACAD are also nearby for students wishing to pursue post secondary education. This family-friendly Dalhousie neighbourhood has great schools including Dalhousie Elementary, St. Dominic Elementary and H.D. Cartwright Junior High. The area offers plenty of recreational activities for families and children, in particular. Planning to buy or sell a home in Dalhousie? Let our real estate team guide you in your hunt for the perfect home and professionally mediate the selling of your current home. As Dalhousie neighborhood real estate agents, we know the ins and outs of the Dalhousie real estate market. We'll point you in the right direction today! Contact Justin Havre at RE/MAX First to find out more about buyer or seller representation. Thinking of selling your Dalhousie home? Check out our free home evaluation, where you can instantly price your Calgary home online in minutes!